You'll be £15.99 closer to your next £10.00 credit when you purchase Jane Austen's Inspiration. What's this? 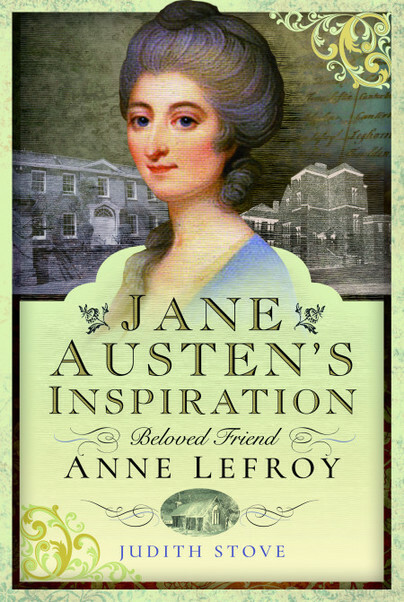 In this insightful new biography of Anne Lefroy, Judy Stove investigates the life of a writer who had a direct and undeniable influence on the life and works of Jane Austen. Jane shared some of her earliest writings with Anne who became a devoted confidant; it is believed that their friendship was an essential component in their creativity. As a published female writer, Anne was an immense source of inspiration to Jane as she developed her own talents. Judy Stove, a member of the Jane Austen Society of Australia, brings a wealth of insight to this illuminating history of a literary friendship. She has uncovered fascinating snippets of information relating to Anne Lefroy’s circle, and her book addresses developments across a period of great social and political change. Setting Lefroy's life in context, she looks at the war against Napoleon and illustrates evolutions in healthcare as well as changes in religious beliefs and practices that impacted upon the lives of Lefroy and her circle. Judy Stove is currently Adjunct Lecturer in the Faculty of Science, University of New South Wales, Australia. She is an active member of the Jane Austen Society of Australia. Judy has published extensively on a range of topics in history and literature, from the Quakers in colonial Australia, to virtue and value in the twentieth century. Judy’s first full-length book, The Missing Monument Murders (Waterside Press, 2016), revealed a long-forgotten story of fraud and crime in Jane Austen’s extended family (‘presents the most amazing evidence and invites the reader to be judge and jury,’ Babette Smith, The Weekend Australian).